As part of my spiritual reflections for Advent this year, I am looking at an appropriate hymn for Advent each morning. This morning [17 November 2014], I have chosen the Advent prose, ‘The Advent Prose – Rorate caeli desuper’ (Irish Church Hymnal, No 122). It is also known as Rorate coeli (or Rorate Caeli) or by the opening words of its English translation, ‘Drop down ye heavens from above’ (see Isaiah 45: 8). In the Roman Catholic tradition, the Advent Prose is used frequently during Advent as a plainsong at the Mass and in the Divine Office. It expresses the longings of the Patriarchs and the Prophets, and symbolically of the Church, for the coming of the Messiah. 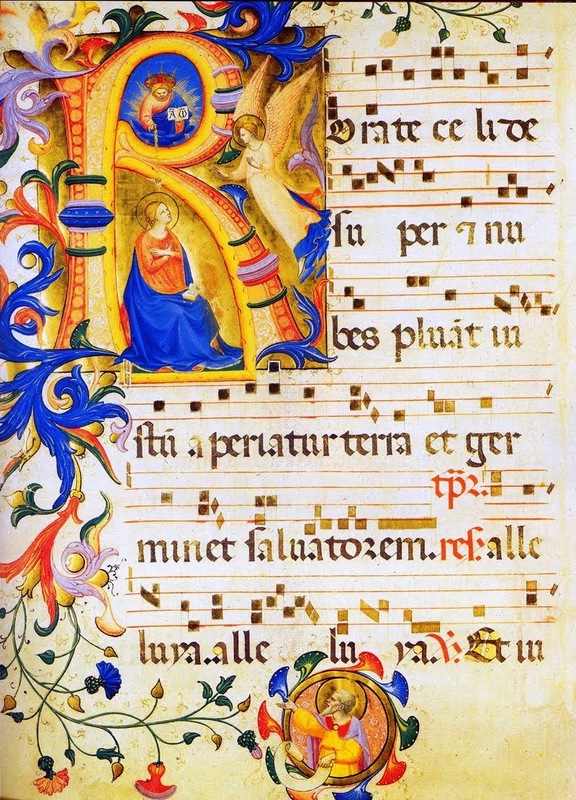 Throughout Advent it occurs daily as the versicle and response after the hymn at Vespers. Let the earth be opened and send forth a Saviour. The text is also used as the Introit for the Fourth Sunday in Advent (next Sunday, 21 December 2014), for Wednesday in Ember Week, for the feast of the Expectation of the Blessed Virgin Mary (tomorrow, 18 December), and for votive Masses of the Blessed Virgin Mary during Advent. In the Anglican Communion, Rorate Coeli is included in the music for Advent (see English Hymnal (1906), No 735; New English Hymnal, No 501, and Irish Church Hymnal, No 122). The Advent Prose came into use in the 17th century, and draws on the prophecy of Isaiah, and a Latin text with a French translation was first published in Paris in 1673. The editors replaced this with another verse drawn from Isaiah 40: 10-11.